With a Europa League medal already draped around his neck after winning the continent’s secondary tournament last term with Manchester United, Arsenal’s Henrikh Mkhitaryan understands the value of a unified squad and insists that he and his teammates will give ‘everything’ to lay claim to their first European trophy this season. Mkhitaryan ensured that United prevailed victorious against Ajax in last year’s final with the tie’s pivotal goal, a strike which sealed a 2-0 win for Jose Mourinho’s Red Devils. 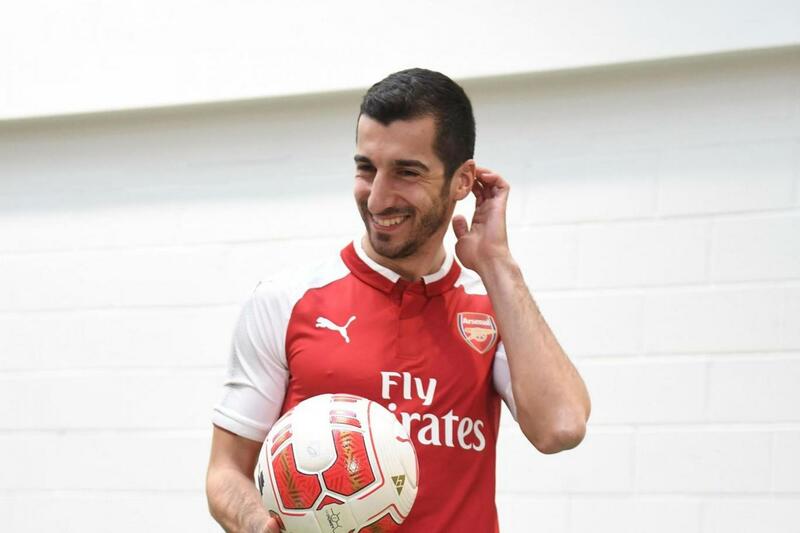 The Armenian is undoubtedly adept to the pressures European football exerts and will be a major component in the Gunners’ push for progression, however the 29-year-old playmaker believes that his squad already has what it takes to succeed in their quest for supremacy, although defeating CSKA Moscow is their immediate primary objective. Speaking to the media – via a report published by the Mirror – ‘Micki’ said: “I think this team already has a big experience of playing in the Europa League and the Champions League. Before moving to north-London in January, Mkhitaryan featured for United in the Champions League and also faced CSKA in the group stage, so if Arsene Wenger was wanting a scout report on the Russian outfit in the build up to the club’s Europa League quarter-final first-leg encounter on Thursday, Mkhitaryan seemingly has the vital, integral lowdown. CSKA have won 5 of their last 6 competitive outings and are currently 3rd in their respective league standings, and having downed French Ligue 1 side Olympique Lyonnais 3-2 on aggregate in the round-of-16, Mkhitaryan is adamant that Arsenal will face a ‘very good’ collective at the Emirates. “I can say that they are a very good team,” he admitted. “They have changed a few players since last year and if they are in the quarter-final it means they are a very good opponent and there are no easy games to play in that stage. Share the post "Henrikh Mkhitaryan insists Arsenal will give ‘everything’ to win Europa League title"